(Wen Wei Po) August 20, 2010. On this day, the front page of every website is probably announcing that the photograph entitled <Holding the body for ransom> has been voted the best news photograph of the year at the Golden Camera Lens Awards. This photograph was the focus of the award ceremony. 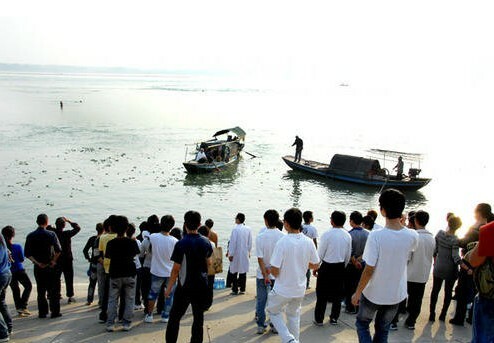 It was on the afternoon of October 24, 12009 that 15 Yangtze University students went into Baota Bay to rescue two drowning youth. Unfortunately, three of the university students drowned. The heroism of these university students moved China. 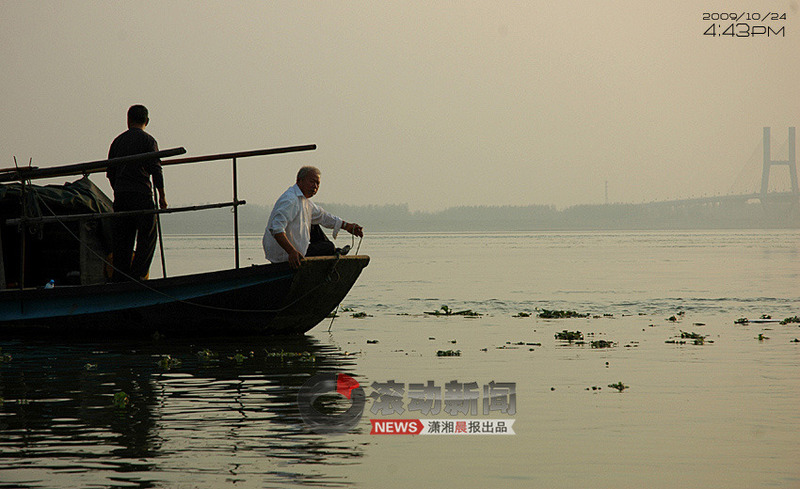 The media converged to Jinzhou to report this contemporary legend. But some media also decided to look for alternate angles to expose the events behind the scene. They misinterpreted photos and they made up fake news stories. <Holding the body for ransom> was the clearest instance. But such a photo was able to win prizes all around China. On August 18, it was given the highest award for Chinese news photography. 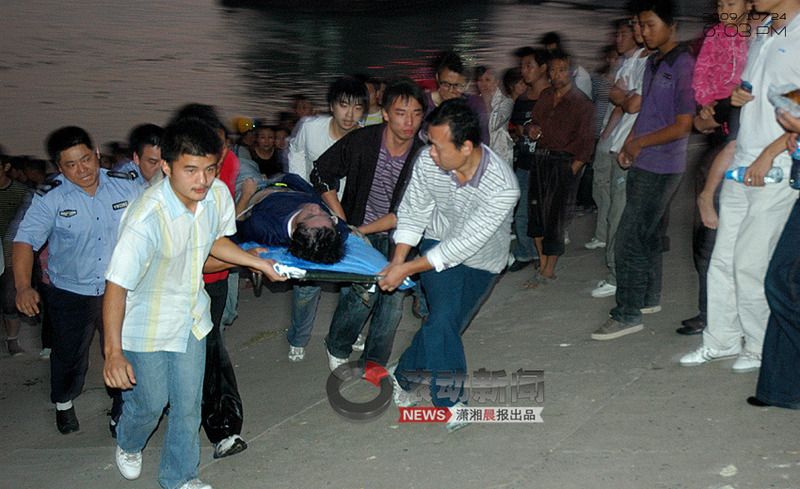 Actually, after this photo first appeared in <Huashuangbao> and carried by <Beijing News>, the <Southern Weekend> reporter Yang Jiebing followed up with an investigation and published <The investigation of the hidden events behind the story of the university students drowning while trying save others: Someone else was "holding the body for random," the fisherman was misidentified as "refusing to help drowing people"> on November 4, 2009. This story was broadly know. 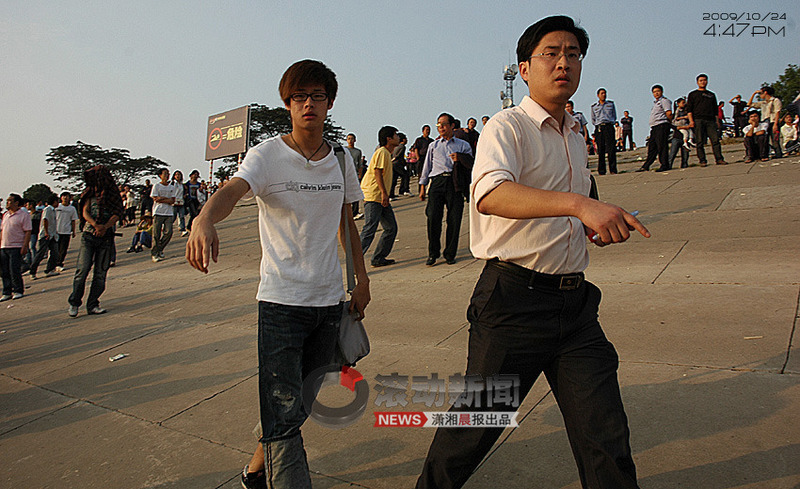 The media worker Ma Yingjun wrote <Media responsibility in the case of the university students saving people> on November 8, 2009 to ask the relevant media acknowledge their responsibility in misleading the public. Yangtze University Department of Publicity director Li Yuquan also reported the true facts of the case to the media and wrote the blog post <"Holding the body for random": the truth that must be told> on November 16, 2009. By this point, the public has basically been provided with the facts. 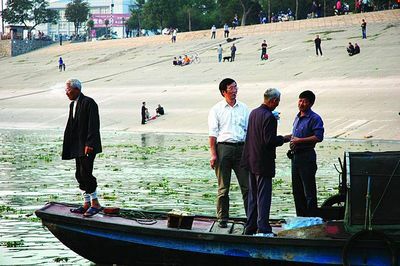 <Huashuangbao> and <Beijing News> interpreted their published photograph as follows: The man named Chen in the white shirt is standing in the front section of his boat and negotiating price with the teachers and students over how much they will pay him to bring the body of the university student in. The facts of the matter are: During the salvage operation, two boats are working together. When a body is found, it must be quickly attached to ropes on the hands and/or feet in case it slips back into the water. The boats are too small and it is hard to raise a body up onto the boats. Therefore the body is brought back to shore before being lifted out. The man in the white shirt is holding a rope tied to the body while waving his hand to coordinate with the people on shore on how to bring the body out. The body is also tied by rope to a second boat. The misinterpretation by <Huashuangbao> and <Beijing News> turned the "holding the body and bringing it back ashore" into "holding the body for random." At the time of publication, the photographer was credited as <Zhen Zhen>. At the Golden Camera Lens awards, the award winner was identified as Zhang Yi. It is likely that both names are pseudonyms. Here are other photographs which give a fuller sense of what was going on. These photographs were not used by the media. Based upon these photographs, the full story should be: Two boats worked together to bring the body back to shore. When one body was found, the two boats worked together to bring that body back to shore. Then the two boats went back to look for other bodies. Anyone who was not present at the scene would like to know the truth, which is what the media should be telling. If a person present at the scene misread something, he/she may get an incorrect or incomplete picture of what happened. Different people at the scene may reach different understanding based upon their interpretation of events. But that only affects them. If the media misinterpret a scene, they mislead the general public. <Huashuangbao> and <Beijing News> misinterpreted the photograph and misled people all over China. 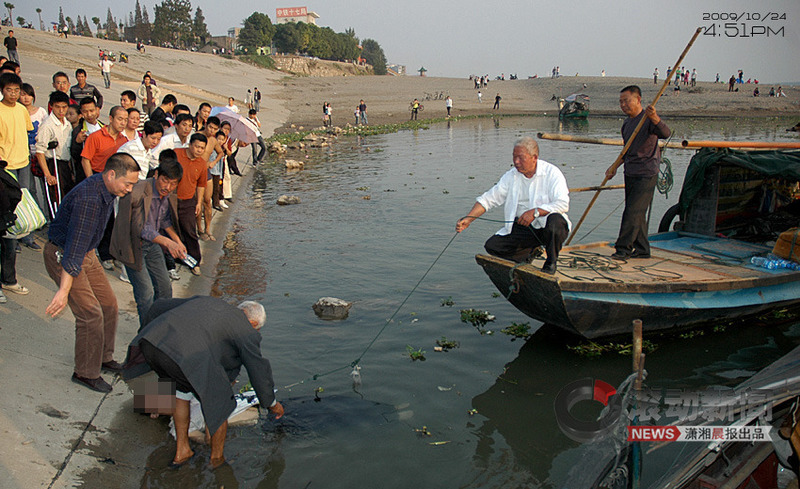 The media condemned the fisherman and netizens cursed him (as well as the people of Jinzhou) for being "heartless." Even after the follow-up investigative report was published and the relevant authorities made clarifications, the fake news story continued to be hold currency and people continued to be "disappointed" in our society and our people. 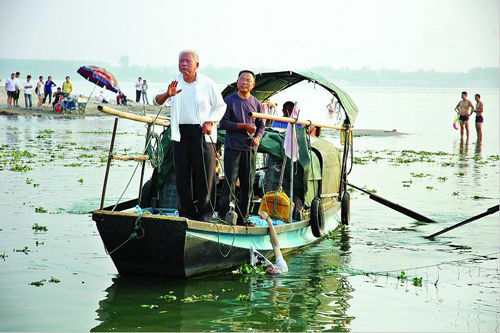 In the <Southern Weekend> investigation report, the fisherman Chen Kai had said: "When we retrieve a body and bring it back to shore, we get 500 yuan. If we are able to find the body, we get 200 yuan. Sometimes all we get is a pack of cigarettes." Thus, the price negotiation was not between the fishermen and the teachers/students. If it did happen, then it was with some other party involved. The fishermen should have been praised for helping out just like the others. Nevertheless the fishermen who were shown in the photograph were accused for "refusing to help dying people." Fisherman Chen sells his fish in Baota Bay. He has been slapped three times and kicked in the waist already. "Endless number of bricks and tiles have been thrown at me. I was surrounded by several hundred people. They cursed loudly at me. Someone yelled: 'Kill him! Kill him! This heartless old man! This beast who refused to help a dying person!" His boat was vandalized and his fish net was set on fire. So what is any decent person to think about these four fishermen whose lives were ruined because we misread a photograph? 3. The deception of the author should be reported in order to deter future occurrences of such incidents. May decent people clear their eyes and see the true facts of the matter. (iFeng) Interview with the photographer Zhang Yi. August 20, 2010. Q. What do you think of the questions raised by the Yangtze University Publicity Department director about <Holding the body for ransom>? A: Firstly, I am not sure that he was present at the scene. But I can guarantee that he was not present at every single detail at the scene. I am say that he was surely not present at every single detail. Secondly, he said that I used a false name. I signed the name Zhenzhen. I signed this name Zhenzhen because I was wroking at a local Jingzhou media organization at the time, and I needed to protect myself. After I left Jingzhou, I used my real name "Zhang Yi." Thirdly, the <Southern Weekend> reporter Yang Jiebing wrote a report. 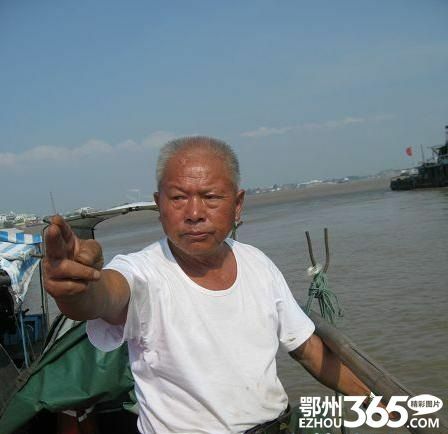 Director Li used that report and cited the part about the fisherman being assaulted. He wanted me to restore the honor of the fisherman. The fisherman was assaulted on October 28. It was the day of the funerals of the three heroes. The people were angry and they assaulted the fishermen. My photo first appeared in <Huashuangbao> on November 11. That is to say, the fishermen were assaulted before my photo appeared. My photo had nothing to do with it. The two should not be linked together. Q: We have read the details of the story many times. Is there anything else that you would like to add? A: I haven't missed anything. I will wait and see what happens next. If there are any doubts, I will release all the photos that I took. When the local government investigated the case, they acknowledged that "the bodies were held for ransom." When the director said "bringing the bodies to shore," I didn't understand. They were demanding 12,000 yuan. This sort of thing is a business there. I don't understand why this has to be called "bringing the bodies to shore" and not "holding the bodies for ransom"? Because they did take the money, I think "holding the bodies for ransom" is more fitting. Q: That is to say, if they didn't get the money, they would not come to shore? A: My photos were very clear about it: They stopped for a long time because the money hadn't been paid yet. 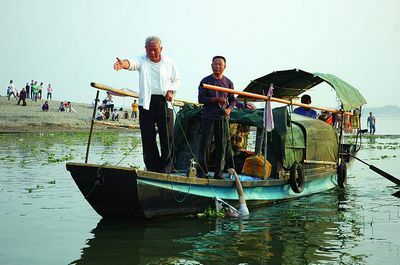 These include the photo of the fisherman smoking a cigarette at the front of the boat, the photo of the boss demanding 12,000 yuan, the fisherman asking for the bottled water. Q: How long did they spend smoking and drinking? A: One hour. My photos are in their raw state. They will show that. Q: How much time did they spend to salvage the bodies? A: The salvaging was quick. Q: So they stopped for an hour? A: They stopped for a long time. Basically as soon as the boss got the money, it took over ten minutes but not more than twenty minutes for all the bodies to be retrieved. 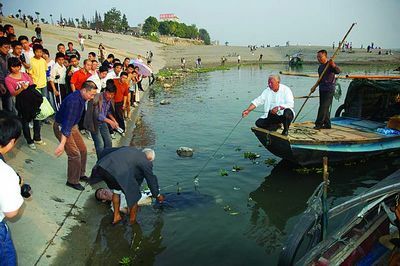 On the photo that was shown, the body of the young hero Fang Zhao was found but he was held in the water and not brought out. That was because the money hadn't been paid. After the money was paid, he was lifted out. 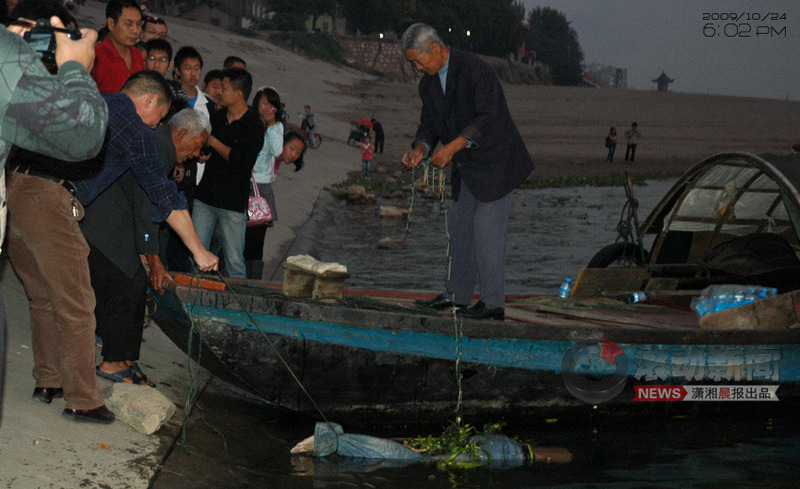 They had been salvaging bodies along the Yangtze river. They have done it in that area. They knew what they were doing. They salvaged bodies from the same spot this year. By the time that the reporter arrived at the scene, the school authorities have paid 4,000 yuan and the first body had been retrieved. But the fact was that even before 16:41:25 on October 24, 2009, the second body had already been located. 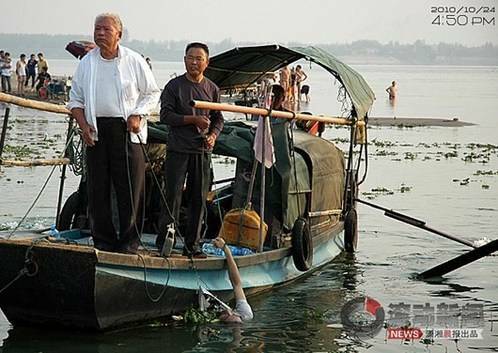 At 16:43:35, Wang Shouhai (in the white shirt) is sitting on the front of his boat waiting for the money to be paid. At 16:46:10, the second body is pulled up so that a rope can be fixed to the right arm. University officials arrived to negotiate the retrieval of the bodies. 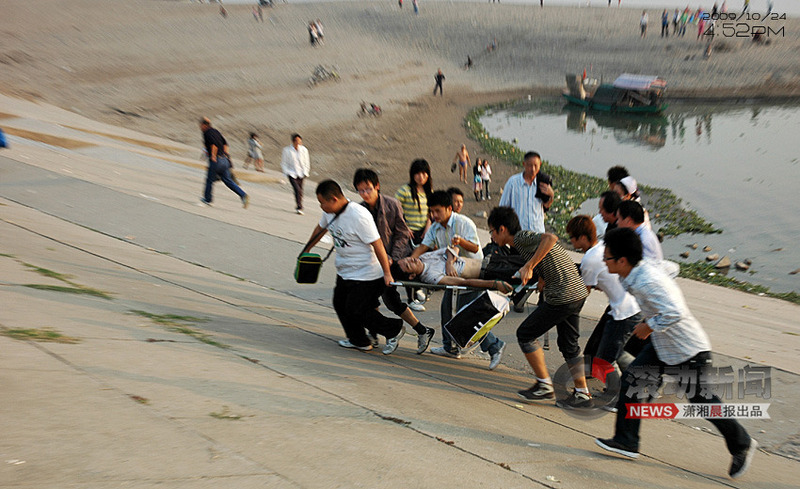 At 16:51:49, the teachers and students move the second body on shore. The man in black waits for the money. According to Zhang Yi, each body is paid separately; no money, no salvaging. 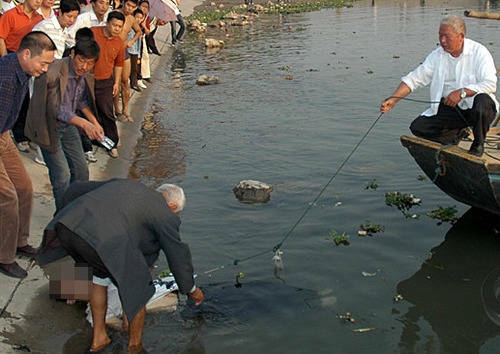 At 17:08:28, Wang Shouhai and others stand around smoking cigarettes and drinking water (brought over from shore) and not looking for the third body because they haven't received the full 36,000 yuan yet. 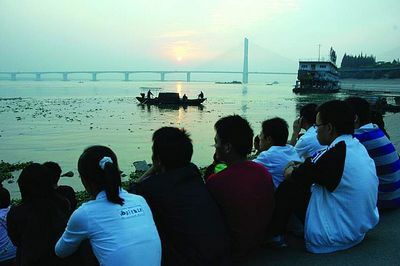 At 17:29:54, the students are waiting for the third body to be retrieved as the sun sets. Our reporter obtained the almost 100 photographs that were taken at the scene. The entire set of photos clearly showed the expressions of shock, panic, sorrow and greed on the faces of the students, teachers, spectators and salvagers. Within this set, there were 6 photographs that have to deal with the controversy around the old man wearing the white shirt. This includes the award-winning photograph. The first photograph was taken at 16:49:18 on October 24, 2010 and the last one was taken at 16:50:57. The old man in white was making hand signals with someone on shore. 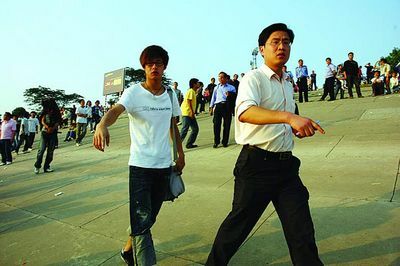 Zhang Yi said that the <Huashuangbao> photograph had a caption that referred to the old man in the white shirt as a Mr. Chen. Zhang called up <Huashuangbao> the next day and pointed out the mistake, for which <Huashuangbao> issued a correction later. This was the only mistake; everything else is true. 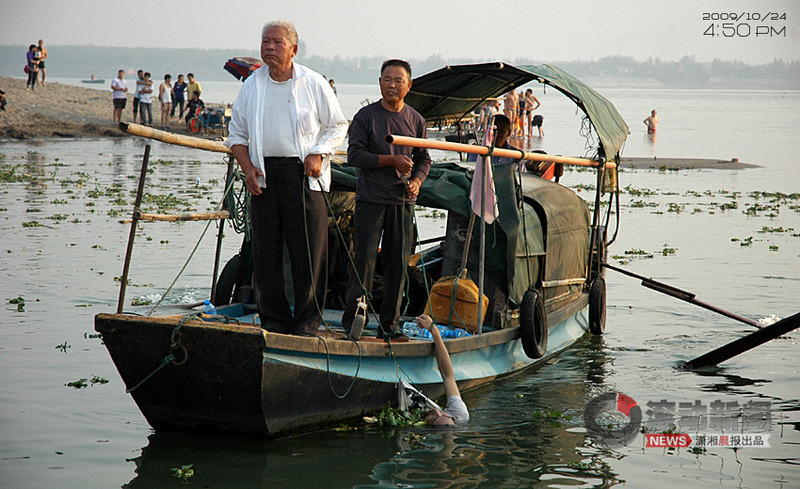 Zhang Yi said that the old man in the white shirt was the salvager Wang Shouhai. At the time, Wang Shouhai had found Fang Zhao's body and used a rope to tie the body to his own right arm. Wang also attached a hook to Fang's shirt so that the body was lying sideways in the water. But Wang did not bring the body onto his boat. At the time, many students were crying in protest. 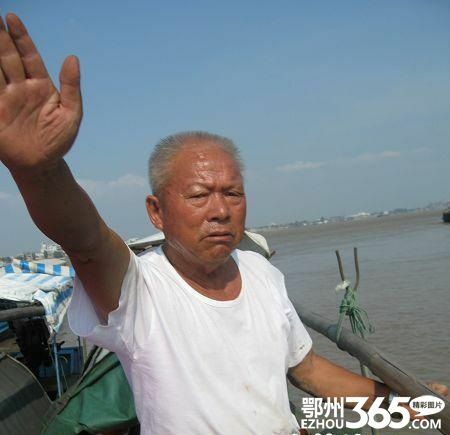 But Wang Shouhai waved his hand off and refused to budge until the 36,000 yuan was paid. Wang said: "... we had agreed upon the 36,000. When the money arrives, the body will be pulled up ... I only listen to what my boss tells me." 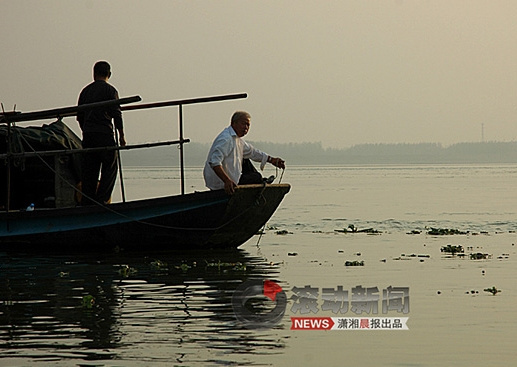 Zhang Yi said that there were indeed two boats present at the scene. One of the photographs showed the other boat. But since Wang Shouhai was directly hired by Chen Bo, he was the one who communicated directly with Chen. In any case, the number of boats does not change the fact that the bodies were held for ransom. 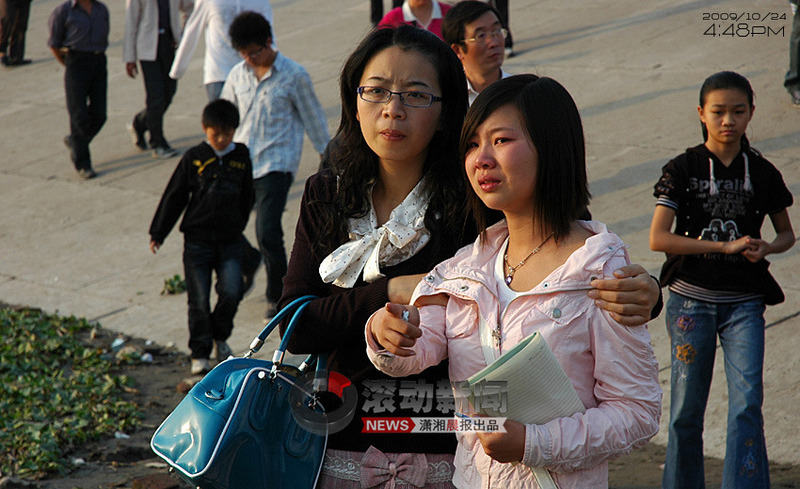 Zhang Yi pointed out that the fishermen were beaten up on October 28, the day of the memorial service for the three students. The photo in <Huashuangbao> appeared on November 3, 2009. Therefore the photo did not cause the beating of the fishermen. The reporter interviewed Chinese News Photography Society vice-president He Yanguang. He recalled that the judgingpanel was very meticulous in reviewing the photograph. Was the title "holding the bodies for ransom" appropriate? He Yanguang said: "If the reporter was wrong, then why didn't the principals speak out? The photographer used a pseudonym when the photograph was published in <Huashuangbao>. This was because he was still working at <Jianghan Business News> at the time. That local newspaper was unable to publish the photograph at the time. Zhang had to take the photo to an out-of-town newspaper for publication. But if he used his real name, he could be dismissed from his job. Eventually he left town. Even though the photograph has won awards, the local authorities still smeared him. He could not live there anymore so he left. The Internet opinion is divided. But there is no factual basis to doubt him." He Yanguang said that the judging panel obtained the complete set of photographs in order to understand the matter. The photographs showed that the salvagers do not appear to be heading to shore immediately. None of the judges knew Zhang Yi personally, so they had no motive to help him. There was no question that the photograph deserves to win the Golden Camera Lens award. It was also noted that only the arm of the deceased student was showing. This showed that a tragedy had happened but without hurting the feelings of the friends and families. Did the old man in the photograph actually held the body for ranson. He Yanguang said that this was just a small detail in the story: It makes no difference whether you or your boss was asking for money. 1. 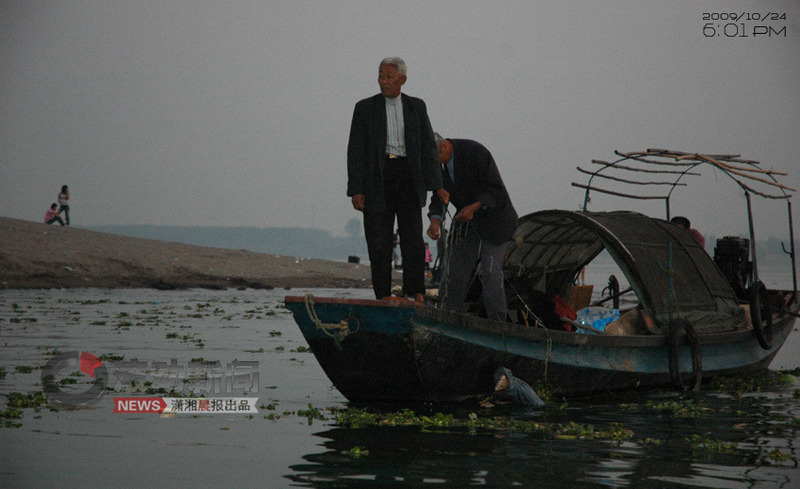 At 4:43pm, the old man in white was sitting in the front of the boat faraway. He was definitely not talking prices with anyone. 2. The next three photos include the award-winning photo of the old man waving his hand to someone. All three photos were taken at 4:50pm. The next photo shows a man standing over the body right next to the land at 4:51pm. 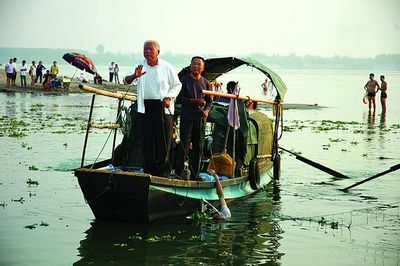 Therefore, there was no way that the award-winning photo could be taken to mean that the old man in white was negotiating prices -- the boat was already close to land already. 3. The money counting took place at 5:37pm, almost 45 minutes after that body was brought ashore. (Shandong Business News) Interview with photographer Zhang Yi. August 23, 2010. Q: Are you aware that People's Photpgraphy Net published your comments on the authenticity of the photograph <Holding the body for ransom>? A: Yes. I provided the comments to the Golden Camera Lens prize committee. Q: In the comments, there was this phrase: "We agreed upon 36,000 yuan. When the money gets here, the rope will be raised. I only listen to what the boss says." Did the old man on the boat said those words? A: That was what he said at the moment that he gestured with his hand. Q: Did you hear it? A: I heard it with my own ears. Q: Someone is casting doubt that this photo <Holding the body for ransom> is fake. What do you think? A: <Holding the body for ransom> is fact. Nothing can hide the fact. When the salvage boats arrived at the scene and the negotiations began with the school authorities, "holding the body for ransom" began. The salvage boats stopped work several times during the process in order to negotiate prices with the school. Finally, salvagers left after getting the money that was agreed upon. This process is "holding the body for ransom." Q: That is to say, "holding the body for ransom" was a process? A: Yes. "Holding the body for ransom" was a process. My award-winning photo was one moment in that process. Q: You won quite a few prizes because of that photo. A: Yes. I was still working with <Jianghan Business News> when I took that photo. Later on, the <Huashuangbao> reporter Hao Jingguo went through an acquaintance to contact me. We spoke about the information that we each have. He read my files and we reached agreement on what the facts were. The award-winning photo could not be published in <Jianghan Business News>. 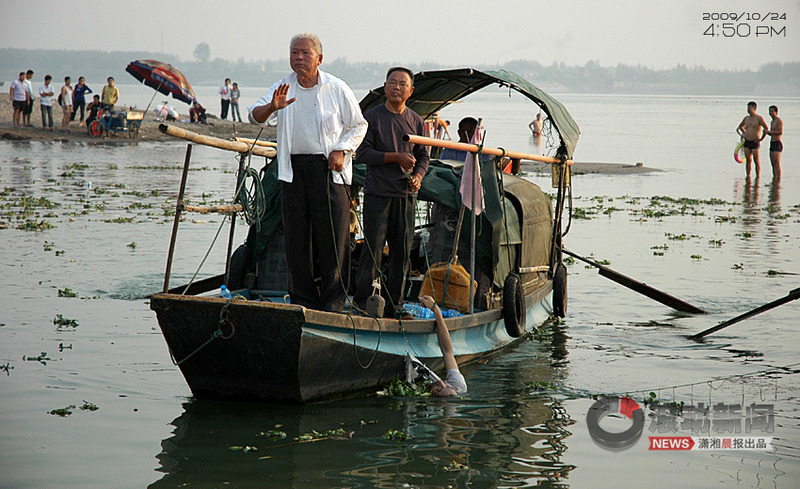 So Hao Jianguo took it to publish as a captioned photo story on <Huashuangbao>. Q: Did you sign your name to the photo at the time? A: I did not dare to use my real name. <Huashuangbao> published it under the name of Zhenzhen, an eyewitness at the scene. The people around me were not aware of the matter. Q: But everybody found out later. A: Yes. When the Chinese Journalists Association held the "China Moment" news photography competition, I asked <Huashuangbao> to enter this photograph into the competition as one of their reporters. The judges asked me to provide proof that the photo was authentic and they accepted my materials. At the award ceremony, I used the name Zhang Yi for the first time. Xinhua published the story and a photo of my receiving the prize. So everybody now knew who I am. Q: How did your life change after you were identified? A: After Xinhua published the story and photo, the newspaper did not sanction me. But they withheld my pay and year-end bonus. Q: They withheld all of it? A: They withheld most of it. For example, the year-end bonus should be more than 1,000 yuan. I ultimately only received several hundred yuan. Q: What was the reason for withholding the money? A: Do you have to ask? It was obviously because of the photo. I recognized the danger. I was hoping that the Lunar New Year would lessen interest in my awards. But the pressure on my personal safety grew bigger. I had to leave Jingzhou. Q: Personal safety and environmental pressure. What does that mean? Did anything happen? A: The salvage company. The local publicity department was also looking for the photographer. A: I don't want to say. It is going to get a lot of people in trouble. Q: Where did you go after leaving Jingzhou? A: I stayed home for a while. Actually, I did not want to lose that job. I had only been working there for a while. Q: Did you just graduate? A: I just graduated last year. Q: You are not very old? A: I was born in 1985. Q: Were are you working now? Is it okay to tell? A: I will only say that I am working for a Hunan media outlet. I am taking a break now. Hunan is very close to Hubei. I am presently staying in a city in another province. Q: Is this city nice? A: It's alright. It is safer. Q: What touches you most about this affair? A: Actually, I have gradually forgotten about this affair after having left Jingzhou several months ago. I have a new job. I am living well. I think that this event was a turning point in my life. A: I came across this scene just as I entered society. Their heartlessness was infuriating. Q: Who do you mean? A: The salvagers. At the critical moment, they don't try to rescue people. They want to talk money first. Q: People are talking about <Holding the body for ransom> all over the place. A: Yes. I know. I have been paying attention. This has become a major story. I believe that the photo is real. Even the local public security bureau punished the salvage company boss. The conclusion at the time was that they "interrupted the salvage process." All this showed that "holding the body for ransom" happened. I hope that everybody, including the media, will not be misled. You must stick to the truth based upon the facts. Q: There are different views on the Internet about the authenticity of the photo. A: There are a lot of abusive comments. Some of them may have ulterior motives. A: The Golden Camera Lens judging committee has begun an investigation. I hope that people will stay calm and wait for the results. Abusive comments is not good for anyone, including myself and the families of the victims. Q: Let us hope that the truth will be established soon. We wish you the best of luck there. (Tianya Forum) August 22, 2010. Whatever else, the principals must be allowed to speak up and the truth must be made known. I am a Jingzhou netizen. I have been paying attention to the case of the Yangtze University students, ad also to the recent developments. Therefore, I have gone around asking questions. Yesterday, I was finally able to locate the salvager-fisherman Wang Shouhai. The following is what we Jingzhou netizens found out from Wang Shouhi. We call this the "Jingzhou truth." 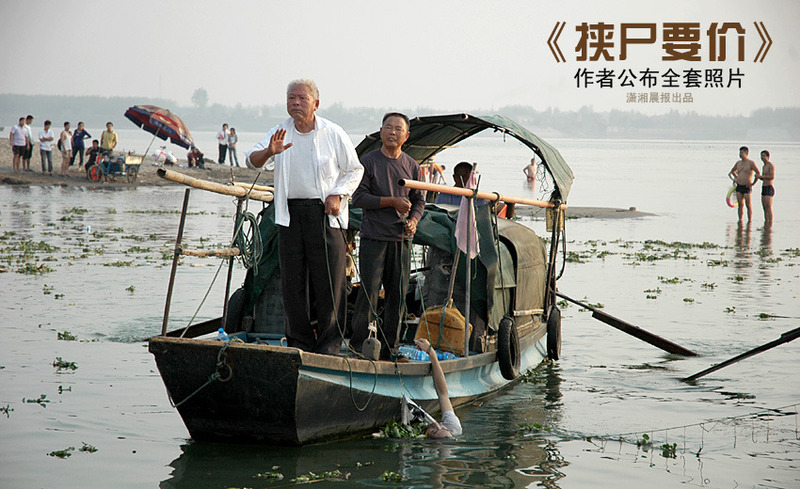 Fuhe town, Gong'an county resident Wang Shouhai never imagined that he would become a celebrity at age 71. But he did not become famous for something good. Instead he became famous as an evil person who was pilloried and spat upon by people as someone with no humanity, conscience and morality. 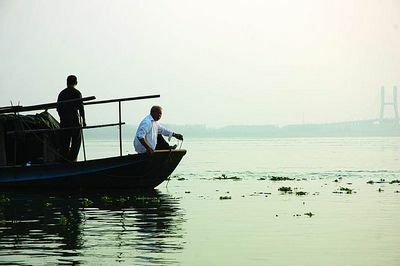 On August 20, Wang Shouhai became the center of attention once again due to the controversy over the award-winning <Holding the body for ransom>. It was around 3pm. The temperature was more than 37 degrees centigrade. Wang Shouhai was not at home. His granddaughter said, "Grandpa is working by the riverside." The Wang family does not own any land. They have a small garden in which they grew vegetables for themselves. Wang Shouhai looks for odd jobs in the neighborhood. He will work rain or shine, hot or cold. Twenty minutes later, Wang Shouhai came home after a family member went to fetch him. We explained the purpose of our visit. He said: "I know what you are talking about. Villagers who are working in Guangdong have even called back." Wang Shouhai said that he does not read newspapers and he does not use the Internet. But people in the village/town are talking about the case. Wang Shouhai's granddaughter uses the Internet. She has seen the photo <Holding the body for ransom>. She told her grandfather that people are cursing her. After the incident, Wang Shouhai had many sleepless nights. He said: "How can it feel good for an old man to be cursed out every day?" Wang Shouhai suffers from hypertension, coronary heart disease and throat infection. His family said that his conditions have worsened since the incident. he has to spend more than 40 yuan on medicine each day. Wang Shouhai could not sleep because he thought that he was being maligned. He told us the process of salvaging those bodies. 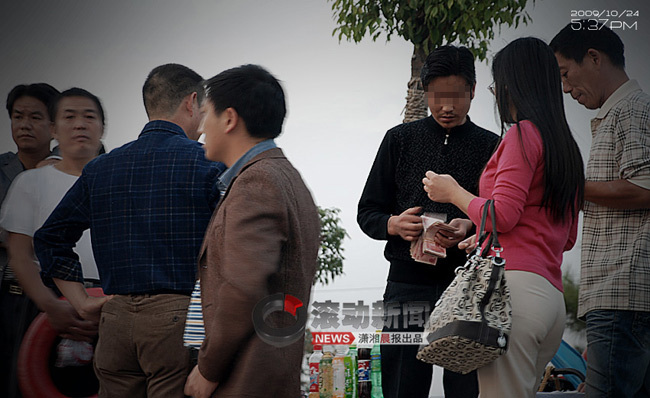 On the afternoon of October 24, Wang Shouhai was playing cards in the village. A villager came and told him that someone drowned over at Baota Bay. 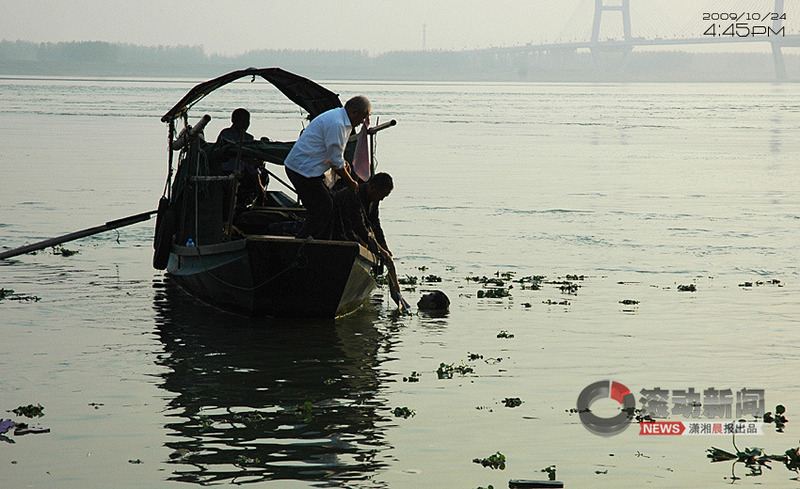 Chen Bo took on the task of retrieving the bodies and told Wang Shouhai to bring his hook line to help. 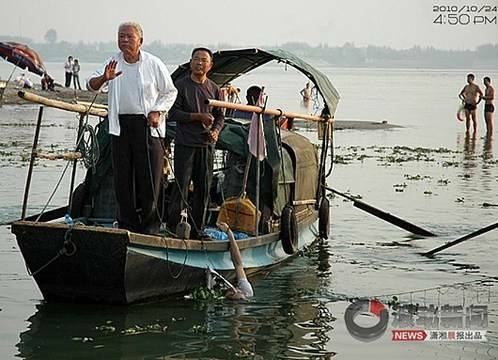 Wang Shouhai got on someone else's boat to the scene of the drownings. Wang Shouhai did not go ashore. He heard that three university students had drowned. Chen Bo told them to find the bodies. So the people in the boats lowered their hook lines and got to work. The first student was quickly found. Then they stopped the boat and went ahead to untangle the hook lines. Under normal circumstances, the hook line is about 50 meters long with more than 500 small iron hooks. These hooks get entangled and need to be untangled before the next salvaging effort. It requires at least 20 minutes to do that, sometimes even more than one hour. "The time taken depends on the state of the hooks." "The photo showed the salvaging of the second body." Wang Shouhai said. Even though the incident took place more than half a year ago, he could still see it as if it was right in front of him. 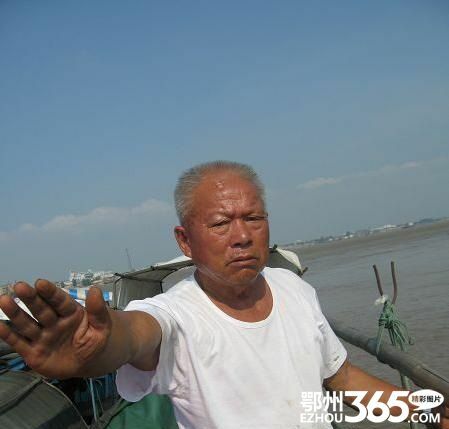 He said that he made the hand gesture to direct the boat to shore. Yesterday afternoon, we located another fisherman by the Fuhe river. His hand gesture was basically the same as Wang Shouhai in the photo. Based upon the position of his hand, people have decided that he was refusing to come to shore. Wang Shouhai thinks that this is a subjective opinion and not factual. Why didn't he raise the body up to the boat? Many Fuhe town fishermen said that they never bring the bodies onto the boat, whether in Fuhe or anywhere else. To the fishermen, their boat is their home. They will not bring a body inside their "home." This is the local custom. 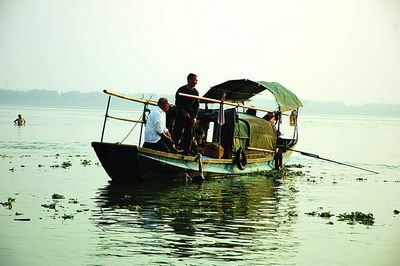 People who make their living in boats are very leery of this taboo. He said that in order to make sure that the body does not fall back into the river, they tied a rope around the body. This is what they do in Fuhe town for decades, even centuries. "I am just a worker. I had nothing to do with any negotiation about money. Wang Shouhai said. On that day, he arrived at the scene with six or seven others. Chen Bo told them to retrieve the bodies. They went to work. He never went ashore. He had no idea whether any agreement was reached about the money. "I did not know that the three who died were heroes who tried to save others." Actually, the salvage fee in the Fuhe area is publicly known. 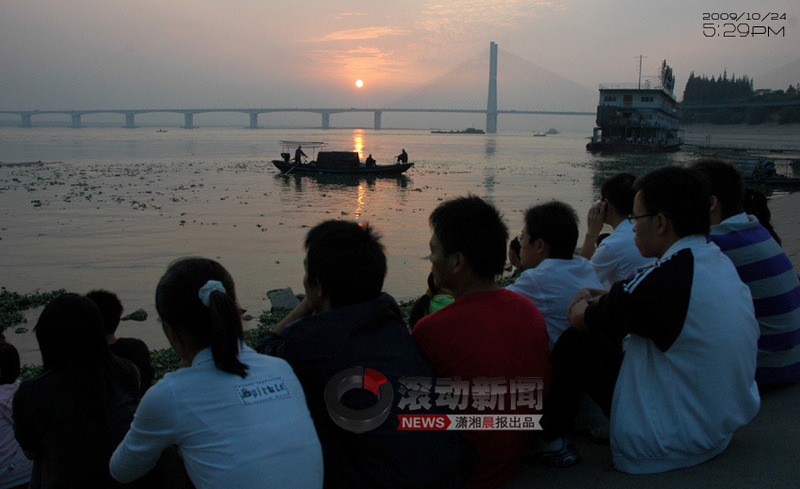 One week before October 24, a Yangtze University student also drowned in the river. 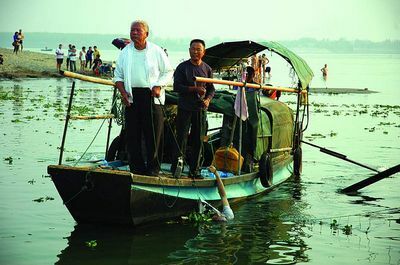 Chen Bo also undertook the task to retrieve the body. The fee was 12,000 yuan. At the same time, the fees for the workers were also known. If they didn't find the body, the contractor gives them 30 to 50 yuan as well as one boxed lunch. 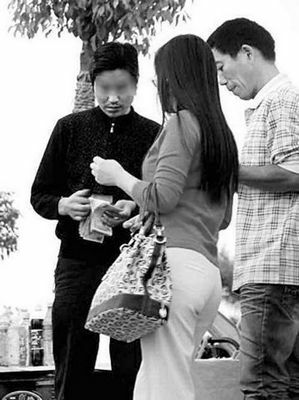 If they found the body, they get 200 yuan. 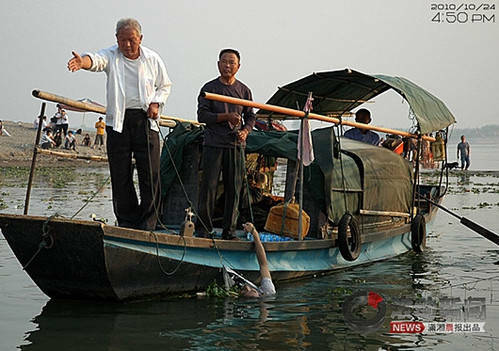 A fisherman who lends his boat gets another 50 yuan. 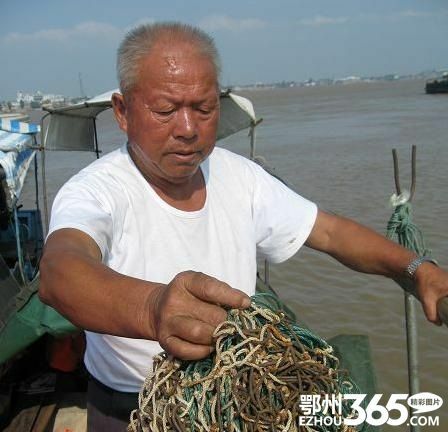 A fisherman who lends his hook line gets 10 yuan. Everybody knows this fee schedule. Even the public security bureau pays the same fee rates. 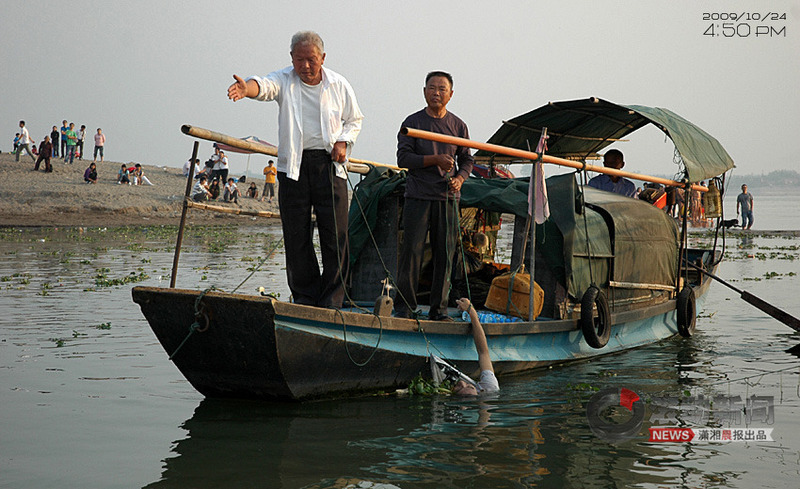 The fishermen said that the Jingzhou police have asked them to do salvage work before and they paid the same 200 yuan. On that day, Wang Shouhai found all three bodies. He also lent his hook line. Afterwards, Chen Bo gave him 530 yuan. Later on, he returned the money. We have read many news reports. There was the idea that the contractor and the workers were considered to be the same entity here. In truth, the contractor can ask Zhang Shan to work or he can just as easily ask Li Si. The workers have no reason to demand money on behalf of the contractor. Furthermore, the workers have no reason to delay, because they would just as soon as finish the work and go home.